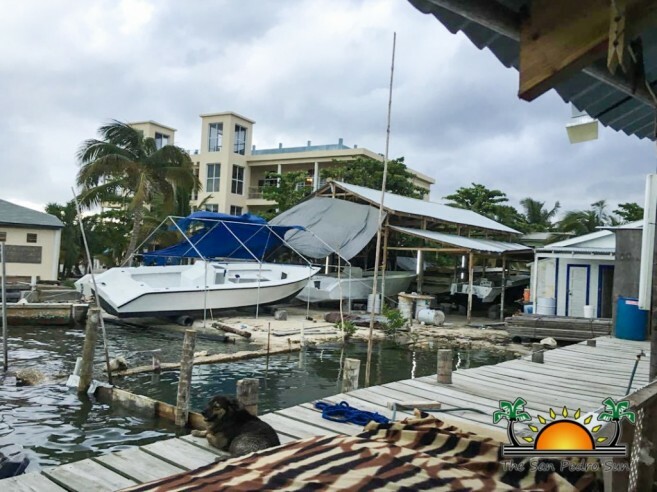 A stop order was issued to an unauthorized boat yard operated by Geovanni Marin with immediate effect on Thursday, September 1st. The clandestine establishment was operating at the end of Tarpon Street on the lagoon side of the island. Authorities at the Ambergris Caye Local Building Authority (ACLBA) were unaware of such activity until they received reports from concerned residents. After consulting with Area Representative Honourable Manuel Heredia Jr, they proceeded to address the issue right away. The said establishment was in the process of expanding when it was stopped. Marin allegedly approached Heredia regarding the operations at the boat yard, but Heredia specifically told him not to proceed. According to Fidel Ancona from the ACLBA, Marin has been instructed to go through the proper procedures and apply for a permit in order to continue operating his boat yard. Ancona also mentioned that as far as he is concerned Marin did not commit any felony by his actions. "He was reclaiming Government land without a permit," said Ancona. "But he has agreed to apply and go through the process." Ancona explained that the application first needs to be made in Belmopan for the use of the beach reserve. Then once his application is approved he submits his structure plans to the ACLBA for approval. "I believe that where he has been operating is legal. It is what he started doing recently that didn't have a permit," said Ancona. The ACLBA advises that all building plans should be submitted to them for approval. Anyone caught engaging in unauthorized construction activities will be ordered to stop immediately.